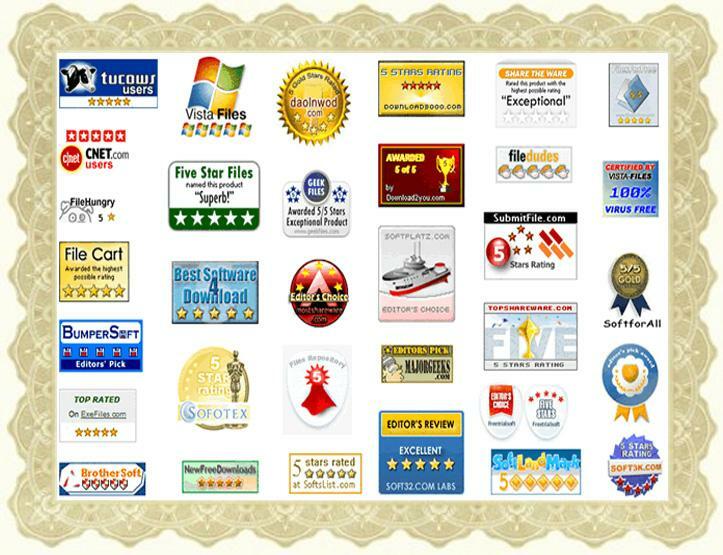 The differences between Freeware and Full Pro Registered. AAMS V3 Freeware version is free to Download and use! Mastering single audio files up to 3.5 minutes with standard settings. The registered version can do long track playtimes, tested for over 1 hour. Analyze and master single audio files only one by one. The registered version does batch jobs like albums or collections. Choose a reference file out of the Reference database. The registered version you can create and tweak your own sound and use it, over and over. Importing WAV and MP3 Audio Files into AAMS or Master Audio Files With AAMS. The registered version loads many more formats. DSP-EQ, 50 EQ Bands (Registered 100). DSP-Compressor, 4 Multibands (Registered 8). DSP-Loudness, AAMS measuring system (Registered All). Saves the mastered outcome files as WAV16, WAV32 ad MP3(192). The registered version saves in many more formats. For most users this might be enough, simple one button of mastering for free. For full functionality read AAMS V3 Full Registered Version. And costs 65 Euro or about 75 Dollars. AAMS V3 Freeware Windows Software to Download and use! Wav, Wavpack,Vorbis Ogg, MP2, MP3,WMA, Apple M4a, Monkey Audio, AAC. Over 1 Hour of Playtime Tested. Restricted to under 4 Minutes. 64Bit Float to 32Bit Float. Restricted to under 25 Minutes. Single Source File of Multiples. Saving Adjusted Preset to new Reference (User Reference). Single Reference File of Multiples. 1 to 8 Multiband Tube Compressor. VMWARE Users Featured. Not Featured, will stay Freeware. Not Featured. AAMS V3 Full Pro Registred Version. The freedom to create your own audio style (reference) out of analyzing a single file or multiple files, combining references or adjusting references. For users who like more control over the reference or the aams processing, create / adjust a reference out of the AAMS database. Spectrum Reference Adjustments possible for Mono, Left and Right spectrum of a loaded reference and saving a new reference. Or analyze commercial audio and create a reference accordingly. Therefore having full control over Creating your own style reference and creating your own sound! Over > 1 Hour mastering audio tested, intresting option for long tracks or dj-mixes. Reference Adjust, adjust the loaded reference file according to user EQ Spectrum changes, save user created reference. Master Batch Audio Files, master multiple audio files at a single go, this is a good function for creating your own style reference! Master Batch Analyze Files, create a new reference (or source) out of multiple analyzer files. Auto Mastering (Albums), Semi Mastering (Single), Semi Mastering (Albums), Manual Mastering (Single), Manual Mastering (Albums). Features to change AAMS behavior directly (options) for Single Audio or Albums of Audio. Batch Multiple Reference(s) into One, this is a good function for creating your own style reference! Batch Mastering multiple files or albums, first each files with their own reference. Batch Mastering multiple files or albums, with a user made album reference (option). DSP-EQ processing up to 100 Bands and full control to adjust each EQ band. DSP-Compressor, 8 band Multiband Compressor Maximum, 1 to 8 Multibands setups possible. DSP-Loudness (Balance and Loudnnes), with AAMS measuring system or dBFS measuring system. DSP-Loudness, with two measuring and correction systems, AAMS measuring system and dBFS measuring system. Able to Automatic Master, Semi-Automatic Master and Manual Mastering! AAMS Options are all available, as well as options from Analyzer, DSP-EQ, DSP-Compressor and DSP-Loudness. Printing Documents in text and as charts. Mastering outcome audio files and in between files. This means after DSP-EQ processing an audio file is saved. After DSP-Compression an audio file is saved. After DSP-Loudness Balancing an audio file is saved. After DSP-Loudness Gain an audio file is saved. This gives the user control over the mastering process. Also the AAMS Mastered audio file is saved. Wav, Wavpack,Vorbis Ogg, MP2, MP3,WMA, Apple M4a, Monkey Audio, AAC, Audio Files into AAMS or Master Audio Files With AAMS. Get the AAMS V3 Full Registered Version for Licensed Users! AAMS V3 for Windows is regularly updated. Latest release AAMS V3.8 Rev 001 on 20 April 2018. - AAMS Main, Free or Pro Version Text, Fixed. - AAMS Main, Tab Position Options, Changed. - AAMS Main, Tab Position Audio Tools, Changed. - AAMS Analyzer, AAMS ISO26 Fletcher Loudness, Fixed. - AAMS Analyzer Options, ISO226-187 Fletcher Munson Compensation, Added. - AAMS DSP-EQ, Chart in dB, Fixed. - AAMS DSP-EQ, Chart in dB, Min vs Max,Fixed. - AAMS DSP-EQ, Chart in Hz, Fixed. - AAMS DSP-EQ, LUFS K-Weighting Filter, Added. - AAMS DSP-EQ, Improved Audio Quality, Added. - AAMS DSP-EQ, Adjust Range in dB, Added. - AAMS DSP-EQ, Reset All Adjust, Fixed. - AAMS DSP-EQ, Clear All Adjust, Fixed. - AAMS DSP-Compressor, Compression Levels, Fixed. - AAMS DSP-Compressor, Compression Hunting, Fixed. - AAMS DSP-Compressor, Improved Audio Quality, Added. - AAMS DSP-Loudness, RMS Loudness Scan, Added. - AAMS DSP-Loudness, LUFS Loudness Scan, Added. - AAMS DSP-Loudness, LUFS Loudness Scan Gate -70dB, Added. - AAMS DSP-Loudness, LUFS Loudness R128 BS1770, Added. - AAMS DSP-Loudness, LUFS Loudness Gain, Added. - AAMS DSP-Loudness, Button, File RMS Loudness Scan, Added. - AAMS DSP-Loudness, Button, File LUFS Loudness Scan, Added. - AAMS DSP-Loudness, LUFS BS 1770 R128 Tab,Added. - AAMS DSP-Loudness, Audio File LUFS Loudness to X dB, Added. - AAMS DSP-Loudness, Improved Audio Quality, Added. - AAMS DSP-Loudness, Options, Hunt for LUFS levels for Streaming Services, Added. - AAMS DSP-Loudness, Options, Hunt for LUFS levels for Soft Loudness, Added. - AAMS DSP-Loudness, Options, Hunt for LUFS levels for AAMS Loudness, Added. - AAMS DSP-Loudness, Options, Hunt for LUFS levels for Max Loudness, Added. - AAMS DSP-Loudness, Options, Adjust AAMS Mastring for Streaming Services, Added. - AAMS DSP-Loudness, Options, Adjust for LUFS levels for Soft Loudness, Added. - AAMS DSP-Loudness, Options, Adjust for LUFS levels for AAMS Loudness, Added. - AAMS DSP-Loudness, Options, Adjust for LUFS levels for Max Loudness, Added. - AAMS Master, Save as WAV 24 bit Audio File, Added. 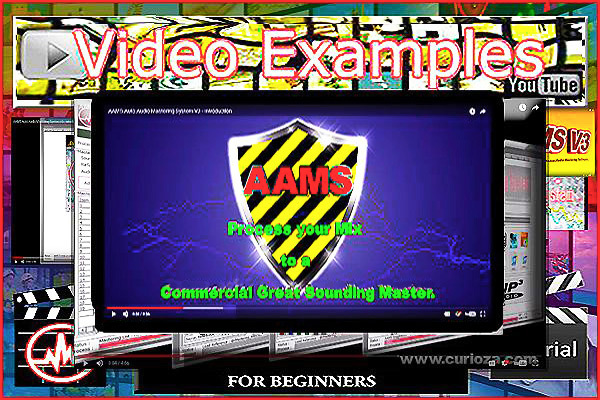 - AAMS Master, Master For Streaming Services, Added. - AAMS Master, Master For AAMS User LUFS, Added. - AAMS Master, Master For Spotify, Added. - AAMS Master, Master For YouTube Music, Added. - AAMS Master, Master For Apple Itunes, Added. - AAMS Master, Master For Tidal, Added. - AAMS Master, Master For SoundCloud, Added. - AAMS Master, Master For TV Broadcast -24dB, Added. - AAMS Master, Freeware Maximum Audio Time 3.5 minutes set, added. - AAMS Options, AAMS Mastering LUFS for Streaming Services Tab, Added. - AAMS Options, AAMS LUFS Mastering, Added. - AAMS Options, AAMS LUFS Spotify, Added. - AAMS Options, AAMS LUFS YouTube, Added. - AAMS Options, AAMS LUFS Apple Itunes, Added. - AAMS Options, AAMS LUFS Tidal, Added. - AAMS Options, AAMS LUFS SoundCloud, Added. - AAMS Options. Protect Important Options. Added. - AAMS Options. Load Error, Load Default and End AAMS. Added. - AAMS Options, Local Country Decimals, Added. - AAMS Options, Select AAMS User Directory, Added. - AAMS Audio Tools, Convert Audio File to WAV format, Fixed. - AAMS Audio Tools, Convert WAV to MP3, Fixed. - AAMS Startup, Country Decimals, Added. - AAMS Startup, Splash Screen, Changed. - AAMS Main, Changed Front Logo, Added. - AAMS Main, Text of License reformatted, Fixed. - AAMS Charts Formatting Abbreviation, Added. - AAMS Mastering, Normalize, Fixed. - AAMS Single Mastering, now shows Analyzer Source file, Fixed. - AAMS Single Mastering, afther mastering resets all status texts, Fixed. - AAMS Batch Mastering, now shows Analyzer Source file, Fixed. - AAMS Batch Mastering, Add Item, No Audio File Selected, Fixed. - AAMS Batch Mastering, Add Item, No Analyzer File Selected, Fixed. - AAMS Batch Mastering, Add Item, No Reference File Selected, Fixed. - AAMS Batch Mastering, Add Multiple Items, No Audio File Selected, Fixed. - AAMS Batch Mastering, Add Multiple Items, No Analyzer File Selected, Fixed. - AAMS Batch Mastering, Add Multiple Items, No Reference File Selected, Fixed. 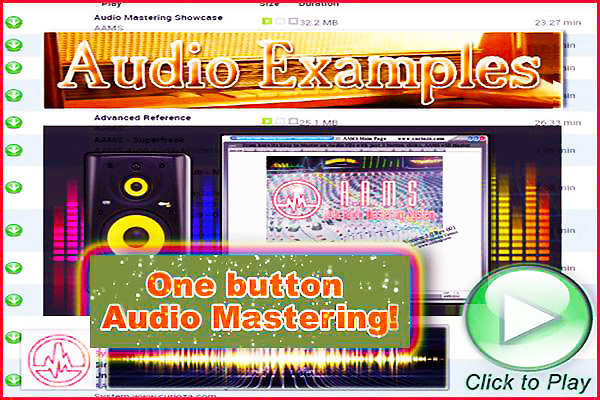 - AAMS Batch Mastering, Import Audio File, No Audio File Selected, Fixed. - AAMS Batch Mastering, Import Audio File, No Reference File Selected, Fixed. - AAMS Batch Mastering, Clear Item, Fixed. - AAMS Batch Mastering, Item List Visual, Fixed. - AAMS Batch Mastering, Item Up, Fixed. - AAMS Batch Mastering, Item Down, Fixed. - AAMS Batch Mastering, Load List,Added. - AAMS Batch Mastering, Save List,Added. 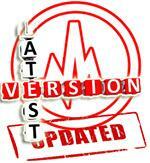 - AAMS Batch Mastering, Afher mastering resets all status texts, Fixed. - AAMS Batch Mastering, Mastering Items Check, Added. - AAMS Batch Mastering, Mastering Items Check File Exists, Added. - AAMS Batch Mastering, Mastering Items Check File Location Exists, Added. - AAMS Batch Mastering, Now stops of no items in mastering list, Fixed. - AAMS Analyzer Files, Analyze Batch Audio File Selection from File List,Fixed. - AAMS Analyzer Files, Analyze Batch, Now shows short file names, Fixed. - AAMS Analyzer Files, Source Batch, Now shows short file names, Fixed. - AAMS Analyzer Files, Source Batch, Selecting 1 file will fail, Fixed. - AAMS Analyzer Files, Reference Batch, Now shows short file names, Fixed. - AAMS Analyzer Files, Reference Batch, Selecting 1 file will fail, Fixed. - AAMS Analyzer Suggestion, Adjust Centre Reference Earable, Fixed. - AAMS Analyzer Suggestion, Adjust Left Reference Earable, Fixed. - AAMS Analyzer Suggestion, Adjust Right Reference Earable, Fixed. - AAMS Analyzer Suggestion, Layout, Fixed. - AAMS Analyzer Suggestion, Properties Layout, Fixed. - AAMS Analyzer Spectrum, Analyzing deletes Source, Fixed. - AAMS Analyzer Loudness Data, Source Chart Time 0-100%, Fixed. - AAMS Analyzer Loudness Data, Reference Chart Time 0-100%, Fixed. - AAMS DSP-Compressor, Fader Controls slowed down, Fixed. - AAMS DSP-Compressor, Compressor Suggestion optimized, Fixed. - AAMS DSP-Compressor, Compressor Clearance optimized, Fixed. - AAMS DSP-Compressor, Compressor RMS optimized, Fixed. - AAMS DSP-Compressor, Compressor Peak optimized, Fixed. - AAMS DSP-Compressor, Compressor AAMS Loudness optimized, Fixed. - AAMS DSP-Compressor, Compressor RMS Loudness optimized, Fixed. - AAMS DSP-Loudness, AAMS Loudness Suggestion, Optimized. - AAMS DSP-Loudness, RMS Loudness Suggestion, Optimized. - AAMS Tools, Normalize, Fixed. - AAMS License Tab, Rebuild, Fixed. - AAMS Options Tab, Save Mastering Document after Mastering, Fixed. - AAMS Startup, Will sometimes give a Register message in Freeware Version, Added. - AAMS Visualisation, Improved scale and visuals, Fixed. - AAMS Startup, Checks is AAMS is running under Admin, Added. - AAMS Startup, set Windows Registery as Admin and Restart, Added. - AAMS Main, User Audio Directory is Default Source Path, Added. - AAMS Engine, Calculations reduced error in audio clipping, Fixed. - AAMS Engine, Calculations for EQ suggestions improved, Fixed. - AAMS DSP-EQ, Power Factor Level Changed, Fixed. - AAMS DSP-Compressor, Faders in the Middle, Fixed. - AAMS DSP-Compressor, Faders Fix Movement Limits, Fixed. - AAMS DSP-Compressor, refined RMS or Peak for Compresser Bands, Fixed. - AAMS DSP-Loudness, Power Factors Changed, Fixed. - AAMS DSP-Loudness, refined RMS or Peak for Mastering, Fixed. - AAMS Options, Set User Audio Directory, Added. - AAMS Options, Set Default Audio Directory, Added. - AAMS Options, Check for AAMS running as Admin, Added. - AAMS Options, set Windows Registery as Admin and Restart, Added. - AAMS Options, AAMS Program Restart, Added. - AAMS Options, AAMS Program Shutdown, Added. - AAMS Options, DSP-Gain and DSP-Balance Switched, Fixed. - AAMS Options, Own group Box for DSP Files, Fixed. - AAMS Options, Own Group Box for Mastering Files, Fixed. - AAMS Options, AAMS Program Minimize Button, Added. - AAMS License Tab, Improved Intructions, Fixed. - AAMS About Texts, Recorganized and Spell Checked, Fixed. - AAMS About Colors, Changed to more colorfull texts, Fixed. - AAMS Analyzer files, Source and Refernce Charts, Fixed. - AAMS Analyzer Files, Batch Selection Source, Fixed. - AAMS Analyzer Files, Batch Selection Reference, Fixed. - AAMS Analyzer, Combine Source and Reference, Added. - AAMS Database, @Pink_Noise_Master, Added. - AAMS Database, Masterng Noise Directory, Added. - AAMS Database, Mixing Noise Directory, Added. - AAMS Tools, Streaming Services, Added. - Installer, Windows Registery, Fixed. - Reference Database, @HipHop, Added. - Reference Database, @Salsa, Added. - Reference Database, @Singer_Songwriter, Changed. - Reference Database, @Singer_Songwriter_Old, Added. - DSP-EQ, Improved Resolution, Added. - DSP-Compressor, Improved Resolution, Added. - DSP-Loudness, Improved Resolution, Added. - AAMS License Manager, License Failure on Update, Fixed. - AAMS DSP-Compressor, Multibands Changed into Error, Fixed. - AAMS Analyzer, Factors for Multiband Calc, Fixed. - AAMS Analyzer, ISO226 EQ line towards Base, Fixed. - AAMS Analyzer, Creating Frequencies Batch Error, Fixed. - AAMS Analyzer Spectrum, Refresh Rate Analyzing is 5 Seconds, Fixed. - AAMS Analyzer Spectrum, Reference Adjust Snap, Fixed. - AAMS Analyzer Spectrum, Chart start at 5 Hz, Fixed. - AAMS Analyzer Files, Re-arraged Text and Buttons. - AAMS Analyzer Files, Batch Analyzer Audio Messagebox, Fixed. - AAMS Analyzer Files, Batch Analyzer Audio Filename Busy, Added. - AAMS Analyzer Files, Bacht Analyzer Audio Error,Fixed. - AAMS Analyzer Files, Batch Selected Files into One Single Source File, Fixed. - AAMS Analyzer Files, Batch Selected Files into One Single Reference File, Fixed. - AAMS Audio Master, Saved Options while Mastering, Fixed. - AAMS Audio Master, Led Text, Fixed. - AAMS Audio Master, Updated Text for Filenames in Single Mastering, Fixed. - AAMS Audio Master, Cleared Text in Single Mastering when Finished, Fixed. - AAMS Audio Master, Failing Input Source File Dialog, Added. - AAMS Audio Master, Failig Input Reference File Dialog, Added. - AAMS Batch Mastering, Help Text Button, Added. - AAMS Batch Mastering, Layout Changed, Added. - AAMS Charts Updated to have Decimals and Ticks, Fixed. - AAMS Analyzer, ISO226 Fletcher EQ Spectrum Chart, Added. - AAMS DSP-EQ, ISO226 Fletcher EQ Spectrum from EQ Differences, Added. - AAMS DSP-EQ, Reference Adjust Snap, Fixed. - AAMS DSP-EQ Options, ISO226 Fletcher EQ Spectrum (else Linear EQ), Added. - AAMS DSP-Compressor, Auto Compression Levels flutter, Fixed. - AAMS DSP-Loudness, Balance Fader Text, Fixed. - AAMS DSP-Loudness, RMS Delaytime, Fixed. - AAMS DSP-Loudness, Loudness Delaytime, Fixed. - AAMS DSP-Loudness, Brickwall Delaytime, Fixed. - AAMS DSP-Loudness, Charts Combined, Added. - AAMS DSP-Loudness Options, End master loudess at -0.3dB, Added. - AAMS License Tab, Led Text, Fixed. - AAMS Options, MP3 Output 96 Kbs, Added. - AAMS Options, MP3 Output 512 Kbs, Added. - AAMS Options, Save differences beween Source and Reference, Added. - AAMS Options, Load default ISO226 EQ Spectrum, Added. - AAMS Errors, Floating Point error at ISO226 Calculations, Fixed. - AAMS Main, Status Bar, Changed. - AAMS Main, Status Bar Little Logo Picture, Changed. - AAMS Main, Status Bar Leds, Chaned. - AAMS Main, Status Bar,' D' DO button for AAMS Manual Refresh, Added. - AAMS Audio Mastering, Flicker in Status Bar, Fixed. - AAMS Audio Mastering, Led's did not return to Green, Fixed. - AAMS Status Messages, Spelling Corrections, Fixed. - AAMS Batch Audio Mastering, Font size bigger, Fixed. - AAMS Batch Audio Mastering, Spacing, Fixed. - AAMS Analyzer Files, Batch Analyze, All available audio formats, Fixed. - AAMS Analyzer Files, Batch Analyze Selected Audio, Renamed. - AAMS Analyzer Files, Improved Directory Colors Text, Fixed. - AAMS Analyzer Suggestion, Analyzer Window, Added. - AAMS Analyzer Suggestion, Power Factor, Adjusted to Power of EQ Spectrum, Fixed. - AAMS Analyzer Options, Compressor Data Low Frequencies at < 20 Hz, Added. - AAMS Analyzer Options, Compressor Data High Frequencies at > 19400 Hz, Added. - AAMS Analyzer Options, Show Spectrum Buffer while Analyzing, Added. - AAMS Analyzer Options, Show Realtime Buffer while Analyzing, Added. - AAMS Analyzer Options, Show Original X-Axxis in Charts, Added. - AAMS Analyzer Options, Show Logarithmic Scales in Charts, Added. - AAMS Reference Database, @Soundtrack_Music.aam, Added. - AAMS DSP-EQ Options, Loading Defaults slowed down system, Fixed. - AAMS DSP-Compressor, Definition from ISO226 Fletcher, Fixed. - AAMS DSP-Compressor, Better Ratios, Fixed. - AAMS DSP-Compressor, Better Suggestions, Fixed. - AAMS DSP-Compressor, Better Overall Compression. - AAMS DSP-Compressor, Hunting Repeats not set, Fixed. - AAMS DSP-Compressor, Deviation for all Multibands, Fixed. - AAMS DSP-Compressor. Lows and Highs deviate the Mids, Fixed. - AAMS DSP-Compressor Options, Ratio Edit not under 2:1, Fixed. - AAMS DSP-Compressor Options, Auto Attack Time, Added. - AAMS DSP-Compressor Options, User Attack Time Multiband 1, Added. - AAMS DSP-Compressor Options, User Attack Time Multiband 2, Added. - AAMS DSP-Compressor Options, User Attack Time Multiband 3, Added. - AAMS DSP-Compressor Options, User Attack Time Multiband 4, Added. - AAMS DSP-Compressor Options, User Attack Time Multiband 5, Added. - AAMS DSP-Compressor Options, User Attack Time Multiband 6, Added. - AAMS DSP-Compressor Options, User Attack Time Multiband 7, Added. - AAMS DSP-Compressor Options, User Attack Time Multiband 8, Added. - AAMS DSP-Compressor Options, Auto Decay Time, Added. - AAMS DSP-Compressor Options, User Decay Time Multiband 1, Added. - AAMS DSP-Compressor Options, User Decay Time Multiband 2, Added. - AAMS DSP-Compressor Options, User Decay Time Multiband 3, Added. - AAMS DSP-Compressor Options, User Decay Time Multiband 4, Added. - AAMS DSP-Compressor Options, User Decay Time Multiband 5, Added. - AAMS DSP-Compressor Options, User Decay Time Multiband 6, Added. - AAMS DSP-Compressor Options, User Decay Time Multiband 7, Added. - AAMS DSP-Compressor Options, User Decay Time Multiband 8, Added. - AAMS DSP-Compressor Options, Auto Ratio, Added. - AAMS DSP-Compressor Options, User Ratio Multiband 1, Added. - AAMS DSP-Compressor Options, User Ratio Multiband 2, Added. - AAMS DSP-Compressor Options, User Ratio Multiband 3, Added. - AAMS DSP-Compressor Options, User Ratio Multiband 4, Added. - AAMS DSP-Compressor Options, User Ratio Multiband 5, Added. - AAMS DSP-Compressor Options, User Ratio Multiband 6, Added. - AAMS DSP-Compressor Options, User Ratio Multiband 7, Added. - AAMS DSP-Compressor Options, User Ratio Multiband 8, Added. - AAMS DSP-Compressor Options, AGC Compression Factor, Added. - AAMS DSP-Compressor Options, AGC Compression Ratio, Added. - AAMS DSP-Compressor Options, AGC Compression Curve, Added. - AAMS DSP-Compressor Options, AGC Compression Setup, Added. - AAMS DSP-Compressor Options, Loading Defaults slowed down system, Fixed. - AAMS DSP-Loudness Options, Loading Defaults slowed down system, Fixed. - AAMS DSP-Loudness, Better Overall Compression. - AAMS Audio Format Convertor, Flicker in Status Bar, Fixed. - AAMS Options Status, Clearing List hangs List, Fixed. - AAMS Options, Loading Defaults slowed down system, Fixed. - AAMS Options, While AAMS is Mastering, follow displays and tabs, Added. - AAMS General, Updated all Messages, Fixed. - AAMS Batch Mastering, Adding Items, Fixed. - AAMS Batch Mastering, Adding Multiple Items, Fixed. - AAMS Batch Mastering, Loading Files, Fixed. - AAMS Batch Mastering, Loading More Formats, Fixed. - AAMS Analyzer, FFT, Improved. - AAMS Analyzer, Spectrum, Improved. - AAMS Analyzer Suggestion, Options, Added. - AAMS Analyzer Suggestion, EQ Suggestions, Improved. - AAMS Analyzer Suggestion, Compressor Suggestions, Improved. - AAMS Analyzer Remaining Time, Status, Fixed. - AAMS Analyzer Suggestions for Streaming Services, Improved. - AAMS Reference Database, EDM_Partymix, Added. - AAMS Reference Database, House_Partymix, Added. - AAMS DSP-EQ Options, Added. - AAMS DSP-EQ, Analyzer Realtime, Added. - AAMS DSP-EQ, Analyzer Realtime, Improved. - AAMS DSP-EQ, Power Factor, Changed. - AAMS DSP-EQ, EQ Processing Clarity, Fixed. - AAMS DSP-EQ, Settings for Defaults, Improved. - AAMS DSP-EQ, Settings Automatic Mastering, Improved. - AAMS DSP-EQ, Settings for Semi-Automatic Mastering, Improved. - AAMS DSP-EQ, Settings for Manual Mastering, Improved. - AAMS DSP-EQ, Options for Defaults, Improved. - AAMS DSP-EQ, Options for Automatic Mastering, Improved. - AAMS DSP-EQ, Options for Semi-Automatic Mastering, Improved. - AAMS DSP-EQ, Options for Manual Mastering, Improved. - AAMS DSP-EQ, Reset Volume Faders, Added. - AAMS DSP-EQ Options, Auto Lower Gain when Playing, Added. - AAMS DSP-EQ, Auto Lower Gain when Playing (bug), Fixed. - AAMS DSP-EQ Options, DSP-EQ Analyzer Realtime Processing, Added. - AAMS DSP-EQ Options, DSP-EQ Analyzer Realtime Show Spectrum, Added. - AAMS DSP-EQ Options, DSP-EQ Analyzer Realtime Show EQ ,Added. - AAMS DSP-EQ Options, DSP-EQ Analyzer Realtime EQ Suggestion, Added. - AAMS DSP-EQ Options, DSP-EQ Analyzer Realtime Bias S+R, Added. - AAMS DSP-EQ Options, DSP-EQ Analyzer Realtime Bias S+R Factor, Added. - AAMS DSP-EQ Options, DSP-EQ Realtime Analyzer Show Suggestion, Added. - AAMS DSP-EQ, ISO226 Loudness Curves, Improved. - AAMS DSP-Compressor, Hunting, Improved. - AAMS DSP-Compressor, Recording, Improved. - AAMS DSP-Compressor, AAMS EQ Loudness Curves, Improved. - AAMS DSP-Compressor, Raised Chart Display time, Fixed. - AAMS DSP-Compressor Options, Added. - AAMS DSP-Compressor, Settings for Defaults, Improved. - AAMS DSP-Compressor, Settings Automatic Mastering, Improved. - AAMS DSP-Compressor, Settings for Semi-Automatic Mastering, Improved. - AAMS DSP-Compressor, Settings for Manual Mastering, Improved. - AAMS DSP-Compressor, Options for Defaults, Improved. - AAMS DSP-Compressor, Options for Automatic Mastering, Improved. - AAMS DSP-Compressor, Options for Semi-Automatic Mastering, Improved. - AAMS DSP-Compressor, Options for Manual Mastering, Improved. - AAMS DSP-Loudness, AAMS Balancing and Loudness Curves, Improved. - AAMS DSP-Loudness, Raised Chart Display time, Fixed. - AAMS DSP-Loudness Options, Added. - AAMS Options, Log Status Messages, Fixed. - AAMS Options, DSP-EQ Options, Removed. - AAMS Options, DSP-Compressor Options, Removed. - AAMS Options, DSP-Loudness Options, Removed. - Batch Mastering, Add Item, now adds only one item, Fixed. - Batch Mastering, Add Multiple Items, added Audio File Formats, Changed. - DSP-EQ, Realtime Analyzer, Added. - Main, Added button for Batch Mastering, Added. - Status Text, Moved to Options, Changed. - Status Text, Position Changed. - Status Bar, Position Changed. - AAMS Analyzer, All Audio Formats in Filewindow, Fixed. - AAMS Analyzer, Compressor Suggestions, Changed. - ISO Fletcher, Changed ISO Loudness Settings, Fixed. - AAMS Loudness Standard, Changed AAMS Loudness Settings, Fixed. - DSP-EQ, Improved character Power Settings, Fixed. - DSP-EQ, Improved Straight EQ Power Factor Calculations, Fixed. - DSP-EQ, Improved Overflow EQ Power Factor Calculations, Fixed. - DSP-EQ, EQ Adjuster Slider (Bias),Added. - DSP-Compressor, Suggestions for Ratio Softened, Fixed. - DSP-Compressor, Suggestions for Th.Level Softened, Fixed. - DSP-Compressor, Suggestions for Multiband Bands Softened, Fixed. - DSP-Compressor, Repaired Overflow Compression, Fixed. - DSP-Loudness, Repaired Overflow Compression, Fixed. - Mastering Document, DSP-Compressor Status, Fixed. - Mastering Document, DSP-Loudness Balance Status, Fixed. - Batch Mastering, Renamed header Tab. - Batch Mastering, Renamed Master Batch Button. - Batch Mastering, Sinplyfied userinterface buttons, Fixed. - Batch Mastering, Buttons Add or Import now is direct, Fixed. - Options, DSP_EQ FFT Window, Added. - Options, DSP_EQ FFT Length, Added. Update for the Holydays 2016! It is a suprice gift for you. - Reference Database added Brazil, Updated. - Website AAMS V3 Manual, Added. - Load Button added in Reference Centre Adjust, Added. - Load Button added in Reference Left Adjust, Added. - Load Button added in Reference Right Adjust, Added. - Save Button added in Reference Centre Adjust, Added. - Save Button added in Reference Left Adjust, Added. - Save Button added in Reference Right Adjust, Added. - Play Button added in Analyzer Spectrum Display, Added. - Stop Button added in Analyzer Spectrum Display, Added. - Forward Button added in Analyzer Spectrum Display, Added. - Rewind Button added in Analyzer Spectrum Display, Added. - Pauze Button added in Analyzer Spectrum Display, Added. - Timescroller added in Analyzer Spectrum Display, Added. - Playtime added in Analyzer Spectrum Display, Added. - Load Reference Button added in Analyzer Spectrum Display, Added. - Save Reference Button added in Analyzer Spectrum Display, Added. - Peak L and R added in Analyzer Spectrum Display, Added. - Peak Hold L and R added in Analyzer Spectrum Display, Added. - Peak Level added in Analyzer Spectrum Display, Added. - Options, Analyzer Spectrum (Show original x-axxis), Added. - Analyzer Spectrum, Source Left Low and Left High, Added. - Analyzer Spectrum, Source Right Low and Left High, Added. - Analyzer Spectrum, Reference Left Low and Left High, Added. - Analyzer Spectrum, Reference Right Low and Left High, Added. - Analyzer Spectrum, Reference Mono Corrections, Added. - Analyzer Spectrum, Reference Mono Corrections Undo, Added. - Analyzer Spectrum Properties, Source, Reference (Automatic), Added. - Analyzer Spectrum, Automatic Source vs Reference Setup, Added. - Analyzer Spectrum, EQ Corrections Level Left, Added. - Analyzer Spectrum, EQ Corrections Level Right, Added. - Analyzer Spectrum, EQ Corrections Level Mono, Added. - Analyzer Spectrum, Chart Deviation, Repaired. - Options, DSP-EQ, EQ Level Corrections, Added. - DSP-EQ, EQ Level Corrections for all Weighted EQ Bands Levels, Added. - DSP-EQ, Connected Broken Level Metering L/R, Fixed. - Analyzer, Loudness, ISO 226 Equal Loudness Curves Chart, Added. - Analyzer, Loudness, AAMS Equal Loudness Conversion Chart, Added. - Changed All Charts Background Color to Black, Added. - Changed Options DSP-EQ, Appy Low Cutoff Filters (4x), Added. - Changed Analyzer Suggestion, Centre Adjust, Button RST to Reset, Added. - Changed Analyzer Suggestion, Left Adjust, Button RST to Reset, Added. - Changed Analyzer Suggestion, Right Adjust, Button RST to Reset, Added. - Changed Analyzer Suggestion, Centre Adjust, Button CLR to Clear, Added. - Changed Analyzer Suggestion, Left Adjust, Button CLR to Clear, Added. - Changed Analyzer Suggestion, Right Adjust, Button CLR to Clear, Added. - Changed Analyzer Suggestion, Centre Adjust, Colors to Gray, Added. - Changed Analyzer Suggestion, Left Adjust, Colors to Yellow, Added. - Changed Analyzer Suggestion, Right Adjust, Colors to Green, Added. - Changed DSP-EQ, Centre Adjust, Button RST to Reset, Added. - Changed DSP-EQ, Left Adjust, Button RST to Reset, Added. - Changed DSP-EQ, Right Adjust, Button RST to Reset, Added. - Changed DSP-EQ, Centre Adjust, Button CLR to Clear, Added. - Changed DSP-EQ, Left Adjust, Button CLR to Clear, Added. - Changed DSP-EQ, Right Adjust, Button CLR to Clear, Added. - Changed DSP-EQ, Centre Adjust, Colors to Gray, Added. - Changed DSP-EQ, Left Adjust, Colors to Yellow, Added. - Changed DSP-EQ, Right Adjust, Colors to Green, Added. - Changed Options, Appy Low Cutoff Filter (< 25 Hz), Added. - Changed Options, Appy Low Cutoff Filter (< 20 Hz), Added. - Changed Options, Appy Low Cutoff Filter (< 15 Hz), Added. - Changed Options, Appy Low Cutoff Filter (< 10 Hz), Added. - Changed DSP-Compressor, Behavior Multiband, Changed. - Changed DSP-Compressor, Hunting 1-8 Multiband, Changed. - Changed DSP-Compressor, Attack Time, Changed. - Changed DSP-Compressor, Charts 1-8, Hunting Correct Left Led, Changed. - Changed DSP-Compressor, Charts 1-8, Hunting Correct Right Led, Changed. - Changed DSP-Compressor, Charts 1-8, AGC Save Level Left Led, Changed. - Changed DSP-Compressor, Charts 1-8, AGC Save Level Right Led, Changed. - Changed DSP-Compressor, ACC Data to AGC Data, Changed. - DSP-Compressor, Connected Broken Level Metering L/R, Fixed. - Added, DSP-Compressor, Tab DSP-Compressor AGC Controller, Added. - Added, Suggestion Calculation Led at below status bar, Added. - Added, Charts Update Led at below status bar, Added. - Changed, About, Sined Studio Logo to 2016, Added. - Changed, DSP-Compressor, Settings Default, Added. - Changed, New Tab, License, Added. - DSP-Loudness, Combined RMS, Peak and Brickwall, Changed. - DSP-Loudness, Connected Broken Level Metering L/R, Fixed. - DSP-Loudness, Balancing, Corrected Loud Clipping Levels, Fixed. - DSP-Loudness, Chart RMS, Peak, Brickwall lines, Added. - DSP-Loudness, Brickwall Limiter, Repaired Mono Th, Fixed. - DSP-Loudness, Brickwall Limiter, Visualized Chart, Added. - DSP-Loudness, Brickwall Limiter, Visualized Gauges, Added. - DSP-Loudness, Brickwall Limiter, Deleted Unessecary, Added. - DSP-Loudness, Tube Compressor, Tab, Added. - DSP-Loudness, Tube Compressor, Gauges Left and Right, Added. - DSP-Loudness, Tube Compressor, Chart Left and Right, Added. - License Tab,Contact Form, Button, Added. - License Tab, Terms of Service, Button, Added. 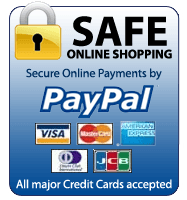 - License Tab, Registration Button, Added Registration Instructions, Added. - License Tab, Added Instructions to Register AAMS, Added. - License Tab, AAMS Check for Updates Button, Added. - About Tab, Basic Mixing, Link Changed to Website, Changed. - About Tab, First Steps, Added Link to Website Introduction, Added. - About Tab, First Steps, Added Link to Audio Examples, Added. - About Tab, Version History, Added Link to Website Version History, Added. - About Tab, User Recommendations, Added Link to Website User Recommendations, Added. - About Tab, Reference Database, Added Link to Website Reference Style Database, Added. - About Tab, AAMS and Windows, Added Link to Website AAMS and Windows, Added. - About Tab, Basic Mixing Explained, Added Link to Website Basic Mxing, Added. - About Tab, Basic Mixing Explained, Added Link to Website Mastering Explained, Added. - About Tab, First Steps, Rearranged and added Buttons to Website, Added. - Options Tab, Audio Mastering, Save Mastering File with Reference Filename, Changed. - Options Tab, Audio Mastering, Save Mastering Document after Mastering, Fixed. - Options Tab, DSP-Loudness, Chart Show Loudnes Left Right and Mono Lines, Added. - AAMS Keycode License Checking Changed Behavior, Fixed. - Audio Mastering, Removed '_Source' from Mastered Filename, Changed. - Mastering Document, Pre Gain Amount, Added. - Mastering Document, Starttime of Mastering, Added. - Mastering Document, Endtime of Mastering, Added. - Mastering Document, Durationtime of Mastering, Added. 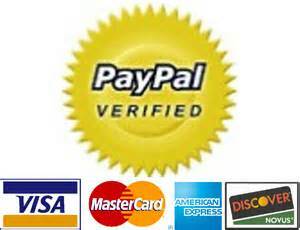 - Mastering Document, Advertation and Terms, Added. - Mastering Document, Cleaned Up, Added. - Menu, Print Current Page, ALT CTRL P,Added. - Menu, AAMS, Changed to AAMS Menu, Changed. - Menu, Screenshot to Desktop, ALT CTRL S, Added. - Menu, License and Registration, Added. - Menu, Check for Updates / Download and Start Setup, Added. - Menu About, Download Setup to Desktop, Added. - Licence Tab, Download Setup to Desktop, Added. 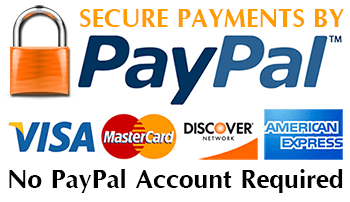 - Licence Tab, Registration, Added Paypal.Me Account, Added. - License Tab, Repaired Failing Keycodes, Fixed. - Limited Freeware, Max. Platime is now 4 Minutes, Changed. - Starup, Internet Connection is Checked, Added. - Options, Button Internet Connection is Checked for Online, Added. - Options, Button Check for AAMS Updates, Added. - Options, EQ Level Corrections turned On, Fixed. - Form, Background colors changed to lighter, Changed. - Audio Tools, Button Play Audio File, Added. - Audio Tools, Button Restart Audio File, Added. - Audio Tools, Button Stop Audio File, Added. - Audio Tools, Added Mediaplayer, Added. - Options, DSP-EQ, Equal Loudness Curves ISO226 is turned Off, Changed. - Options, Convert AAMS Mastered Audio File to MP3, Changed. - Options, DSP-EQ, ISO226 Fletcher Munson EQ Corrections, Added. - Suggestions, Fixed Floating Point Error, Fixed. - Reference Database, EDM, Added. - Reference Database, Updated, Changed. - Reference Database, Rewritten, Changed. - Load Options, At Startup, Error Behavior, Fixed. - DSP-Loudness, Maximal Loudness Mastering 2 (-0.3 dB, -0.14 dB, -0.02 dB), Changed. - Options, Power Factor from ISO226 Equal Loudness Curves, Added. - License, aamslicense.ina file can be used to maintain license after updating, Added. - Repaired Visualisation Modules, Fixed. - Windows All Versions Compatible, for drives D: E: and F:, added. - Windows 10 Compatible, changed behavior, fixed. - Windows All Versions, Registration System, Fixed. - AAMS Installer, Updated, Added. - AAMS Installer, Splash Screen and Audio, Added. - DSP-Compressor, Record Uncorrect Slowdown 5 Secs, Added. - License Tab, Updated License Registration Information, Changed. - License Tab, Button to Import an aamslicense.lic file, Added. - License Tab, Button (4) will ask input Registration, Added. - Menu, License Registration Input, Added. - License Tab, Button to Unregister (now recommended), Added. - Freeware Maximum Playtime, Fixed. - Batch Audio Mastering, Fixed. - Batch Source Analyzer, Fixed. - Batch Reference Analyzer, Fixed. - Batch to Single Source, Fixed. - Batch to Single Reference, Fixed. - Improved AAMS Setup / Installer, Updated. - Improved Windows Compatibility Settings by Setup, Updated. - Improved Windows Admin Settings by Setup, Updated. - DSP-EQ Better align to Reference, Updated. - DSP-EQ to AAMS Factor Suggestions, Updated. - DSP-Compressor Better align to Reference, Updated. - Registration Shutdown, Restart, Updated. - Freeware and Licensed Versions, Restrictions Updated. - Error 183, Updated Solutions. - Windows Help on About tab, New. - Freeware and Licensed Version, About Tab, Updated. - Main Page Changes, New. - Reference Style Database, Completely New Database, Updated. - Status and Processing Bar, Updated. - Analyzer Changed Stop behavior. - Analyzer, WAV, Flac, Ogg, MP2, MP3, WMA, Apple, Aac, Ape, Added. - Analyzer, divided into two sections Tabs, Updated. - Analyzer, Tab directory maps Analyzer, Updated. - Analyzer, Tab Audio File Properties, Updated. - Analyzer, Tab directory maps Source, Updated. - Analyzer, Tab directory maps Reference Database, Updated. - Analyzer, Suggestion, Spectrum Analyzer, Updated. - Analyzer, Source and Reference, Updated. - Analyzer, Updated Q factor properties. - Analyzer, Save Adjusted Reference, Added. - Analyzer, Reference Centre Adjust, Added. - Analyzer, Reference Left Adjust, Added. - Analyzer, Reference Right Adjust, Added. - Analyzer, Reading Long audio files. - Source Files, Tag naming, Updated. - Reference Files, Tag naming, Updated. - Printing Document Properties, Updated. - DSP-EQ, Reading Long audio files. - DSP-EQ, Centre Adjust, Added. - DSP-EQ, Left Adjust, Added. - DSP-EQ, Right Adjust, Added. - DSP-EQ, EQ bands Suggestions, Changed. - DSP-EQ, Soft Behavior, Changed. - DSP-EQ, Settings, Added and Changed. - DSP-Compressor, Status Tab, Added. - DSP-Compressor, Reading Long audio files. - DSP-Compressor, Multiband Tab, Updated. - DSP-Compressor, Multiband Charts, Updated. - DSP-Compressor, AGC Data Tab, Updated. - DSP-Compressor, Filter Calculations, Changed. - DSP-Compressor, Soft Behavior, Changed. - DSP-Loudness, Reading Long audio files. - DSP-Loudness, Scan for setting, Changed and Updated. - DSP-Loudness, AAMS Scanning system, Updated. - DSP-Loudness, RMS Scanning system, Added. - DSP-Loudness, Dbfs Scanning system, Added. - DSP-Loudness, RMS Limiter, Updated. - DSP-Loudness, Peak Limiter, Updated. - DSP-Loudness, Brickwall Limiter, Updated. - DSP-Loudness, Soft Behavior, Changed. - Audio Tools, Convert to WAV from more formats, Added. - Audio Tools, WAV, Flac, Ogg, MP2, MP3, WMA, Apple, Aac, Ape, Added. - Audio Tools, Convert to Bits and Format, Changed. - Audio Tools, Convert to Samplerate, Changed. - Audio Tools, Channels, Added. - Audio Tools, Normalize, Added. - Audio Tools, Convert WAV to MP3, Added. - Options Tab, Fully Changed, Updated. - AAMS Status, Updated and Changed. - AAMS Reference Database, Updated. - AAMS Version History, Updated. - AAMS VMWare Policy, Updated. - AAMS User Policy, Updated. - AAMS End User License, Changed and Updated. Whenever you experience download or installation problems, AAMS is not running as expected or you are experiencing errors or malfunctions please consider downloading the newest version revision of AAMS by downloading AAMS again straight from our website (www.curioza.com). AAMS is updated on a regular basis and we are working continuously to get better revisions out in the open. When you are downloading from another site (shareware websites) you might get an older version of AAMS.zip. The newest version is always available from www.curioza.com, even though the download name might read AAMS V3, there are revisions on a regular basis. Whenever you have problems please download from our site a new AAMS.zip and install this. If you have still problems send us an email and we will check it out. - Microsoft Changed Windows Rules, Fixed. The WAV Files for AAMS need to be 16 Bit Integer or 32 Bit Float. The Frequency is 44.1 KHZ only. The WAV Files need te be correctly written (logic for instance does not). WAV File in the correct format. You can also use Format Factory Convertor that is a free tool. - Added More Documentation inside AAMS. - Windows 8.1, Securety problem, Fixed. - Windows 7 64 Bit problem, Fixed. - AAMS, Graphics Interface, Added. - Master Batch, Moved Status Window, Fixed. - DSP Compressor, AGC Time, Fixed. - Tools, Sample Cutter Fader, Added. - Reference Database, added more styles. - Reference Database, added more single track styles. - Improved Speed and Accuracy. - Busy Processing Hangs, Fixed. - DSP-EQ, added 61 Band Graphic EQ Preset, Added. - DSP-Compressor, High Band Pending, Fixed. - Options, DSP-EQ, Power Settings, Added. - Options, DSP-Compressor, AGC Hunting Value, Added. - Options, DSP-Compressor, AGC Correct Value, Added. - Removed Company name Message from Startup, Fixed. - Improved Batching Multiple Analyzed Files, Fixed. - Improved System Processing Messages, Fixed. - Master, MP3 Save Indicated, Added. - Master Batch, Did Not Continue, Fixed. - DSP-Compressor, Status Hunting / Recording, Added. - DSP-Loudness, RMS Buffer Counter, Added. - DSP-Loudness, Status Balancing / Loudness, Added. - Options, Turn Off Status Busy Message, Added. - Program Messages, Improved, Fixed. - Quick Start, Wizard renamed Wizard, Fixed. - Master, Updated Layout, Added. - Master, Master to MP3, Added. - Master, Add Multiple Files, Fixed. - Mastering Document, EQ Calculation, Fixed. - Analyzer, MP3 Import, Added. - DSP, Updated Faders, Added. - DSP-EQ, Tab Routing, Changes. - DSP-EQ, Menu, Save Firium Preset, Added. - DSP-Compressor, AC Accuracy Improved, Fixed. - DSP-Compressor, AC Results Colors, Fixed. - DSP-Compressor, AC Grid, Fixed. - DSP-Compressor, AC Calculations, Fixed. - DSP-Compressor, AC Charts, Changes. - DSP-Compressor, Balance-Out Level, Fixed. - DSP-Compressor, Compressor Status, Added. - DSP-Compressor, Master-Out Level, Fixed. - DSP-Compressor, Tab Routing, Changes. - DSP-Loudness, Balance wrong value, Fixed. - DSP-Loudness, Tab Routing, Changes. - Tools, Normalize Wav File, Added. - Tools, Convert Wav To Mp3, Added. - Options, DSP-EQ Normalize, Added. - Options, DSP-Compressor Normalize, Added. - Options, DSP-Loudness Balance Normalize, Added. - Options, DSP-Loudness Record Normalize, Added. - Options, True Mono Mode (Keep Original Stereo Field), Fixed. - Options, Memory Scan, Shows File Lengths and (RAM) in use, Added. - Options, Little Fade In, Added. - Options, Little Fade Out, Added. - Installer, Smaller Size, Fixed. - Audio Routine, Bits, Fixed. - Analyzer File, Version 1.5, Added. - File Save Routine, Screen Update, Fixed. - DSP-Compressor, AGC Improved, Fixed. - DSP-Compressor, AGC Correct, Document Info, Added. - DSP-Compressor, Record AGC Correct, Added. - DSP-Loudness, Auto Record DSP-Loudness, Fixed. - Options, Memory Status, Added. - Memory Status, Warning Message, Added. - Memory Status, Low Memory Message, Added. - Trial, Startup Message, Added. - Analyzer, Measurements, Screen Update, Fixed. - Memory, Longer Files, Fixed. - DSP-EQ, Hunting, Reduced Overflow Steps, Fixed. - DSP-Loudness, Scan, Memory Doubled, Fixed. - Master, Master file, Fixed. - Analyzer, File not found error -6, Fixed. - Source, Directory Switching, Fixed. - Reference, Directory Switching, Fixed. - Reference Database, House DJ, Added. - Reference Database, House Easy, Added. - Reference Database, House RMS, Added. - Spectrum, Edit Source and Reference Analyzer File, Fixed. - Compressor Suggestions, Multi-Bands, Fixed. - DSP-Compressor, C4 Setting, Fixed. - DSP-Compressor, Hunting Resolution, Fixed. - DSP-Loudness Setup, Loudness Scan, more loudness settings, added. - Options, Soundcard ID, Fixed. - Options, Soundcard, Reset, Added. - Options, Show Preview Graphs, Fixed. - Options, Preferences, True Mono Mode, Added. - Options, Preferences, Automatic Mastering (Albums), Added. - Options, Preferences, Automatic Mastering (Single Files), Added. - Options, Preferences, Semi-Automatic Mastering (Albums), Added. - Options, Preferences, Semi-Automatic Mastering (Single Files), Added. - Options, Preferences, Manual Mastering (Albums), Added. - Options, Preferences, Manual Mastering (Single Files), Added. - Options, DSP-EQ Power Setting, Added. - Options, DSP-EQ, Mono Mode, Added. - Options, DSP-Compressor, Mono Mode, Added. - Options, DSP-Loudness, Mono Mode, Added. - Quick Start, Wizard Auto Master Audio File, Added. - Master, Single Master, Full Data File Loading, Fixed. - Master Tab, Processing Info, Added. - Master, End Clear Processing, Fixed. - Master, End Filename, Fixed. - Master, Normalize not working, Fixed. - Master, Timer 'Running' Label, Added. - Master Batch, Timer 'Running' Label, Added. - Analyzer, Improved Speed, Fixed. - Analyzer, Batch Calculations, Fixed. - Analyzer, Wave Format Info, Added. - Analyzer, Max Chunks, Fixed. - Analyzer, Remaining Time, Fixed. - Analyzer, Import 8/16/20/24 (Integer) and 32 Bit Wav (Float) Files, Added..
- Analyzer, Shows Filename, Fixed. - Spectrum, Edit Reference Parametric EQ, Added. - DSP-Player, Playtime LED’s, Added. - DSP-Player, Playtime Reset, Fixed. - DSP-Processing, Memory Data, Added. - DSP-Processing, Float Data, Added. - DSP-EQ, Label 'Zero' changed to 'Reset', Fixed. - Tools, Normalize not working, Fixed. - Tools, Convert Wav File, Added. - Tools, Mp3 Convert 8/16/20/24 (Integer) and 32 Bit Wav (Float) Files, Added. - Manual, Document Saving Messages, Fixed. - AAMS Program, Optimized Screen Refresh, Fixed. - AAMS Program, More Visible Charts, Fixed. - AAMS Program, Memory Leaking, Fixed. - Options, DSP-Loudness, Normalize After Balancing, Added. - Options, DSP-Loudness, Normalize After Loudness, Added. - Options, Master Fader Reset, Added. - Options, DSP-EQ Fader Reset, Added. - Options, DSP-Compressor Fader Reset, Added. - Options, DSP-Loudness Fader Reset, Added. - Reference Style Database, Easy Listening, Added. - Reference Style Database, Opera, Added. - Reference Style Database, Vegas, Added. - Master, Mastering Document, Added. - Master Batch, Timer Turn Off, Fixed. - Master Batch, Items, Fixed. - Master Batch, Add Multiple Items, Added. - Reference Database, @House Trance, Added. - Reference Database, @Rock Slow, Added. - Suggestions, Compressor, Shows correct Multi-Band Frequencies, Fixed. - Suggestions, Loudness, Corrected Values, Fixed. - DSP-Processing, Removed unnecessary audio files, Fixed. - DSP-Compressor, Low band Compressors, added. - Options, Save Mastering Document after Mastering is done, Added. - Options, DSP-Loudness Balance - Apply Pre-Gain Suggestion. - About, Info, Scroller in Program Messages, Added. - Manual Documentation, file 'AAMS Manual.Doc, Added. - Manual Documentation, tab 'Doc', Added. - Analyzing, Remaining Time, Fixed. - Analyzer Tab, Shows Audio File Name, Added. - Analyzer Import, Can handle MP3 Audio Files, Added. - Analyzer Import, Analyze Audio and Load as Source, Fixed. - Analyzer Import, Missing Dll File Error, Fixed. - Measurements, Floating Point Error, Fixed. - Suggestions, Print Graphic Equalizer Suggestion, Added. - Suggestions, Print Compressor Suggestion, Added. - Suggestions, Print Compressor Calculations, Added. - Suggestions, Print Mastering Document, Added. - Suggestions, Compressor Bands Display, Fixed. - DSP-Processing, Set back to zero, Fixed. - DSP-Processing, Normalize after Mastering, Added. - DSP-EQ, Normalize Audio File Option, Added. - DSP-EQ, Shows correct Faders Selection, Fixed. - DSP-Compressor, Normalize Audio File Option, Added. - DSP-Compressor, Floating Point Error, Fixed. - DSP-Compressor, AGC Display, Fixed. - DSP-Compressor, AGC Hunting, Fixed. - DSP-Compressor, AGC Hunting starts with Suggestion Value, Added Option. - DSP-Compressor, AGC Timer Reset, Fixed. - DSP-Compressor, AGC Led colors Reset, Fixed. - DSP-Compressor, AGC Recording Reset, Fixed. - DSP-Compressor, Option AGC start at -3 dB, Added. - DSP-Loudness, Normalize Audio File Option, Added. - DSP-Loudness, Auto Record Gain, Fixed. - DSP-Loudness, Brick wall LED’s Visible in Player, Added. - DSP-Loudness, Balance Suggestion Text, Fixed. - DSP-Loudness, Peak Limiter, Window, Fixed. - Master, Error 105, Fixed. - Options, Load and Save, Added. - Manual, Specifications for DSP-EQ, DSP-Compressor and DSP-Loudness, Added. -Options, Warning Fast Analyze not recommended, Added. -Improved AGC Automatic Hunting, Fixed. -Selecting Multi-Bands offsets running AGC, Fixed. -Loudness Calculations based on Peaks, Added Option. -Show Audio Filename on Top Row, Added Option. -Compressor Suggestion, Visible Items, Fixed. -Busy Text moved to Process Info Line, Added. -Using Stop on Auto Mastering, Fixed. -Mastering Batch of Audio Files, Added Function. -Mastering Audio Filename, last file is called '_Master.wav', Fixed. -Mastering, Delete all unwanted Audio Files, Added Option. -Mastering, Inserting Empty or Not Existing File, Fixed. -DSP, Floating Point Error, Fixed. -DSP-Compressor, AGC Graph Reset, Fixed. -DSP-Compressor, AGC Grid 'Hunting', Fixed. -Startup Registration Form, did not show, Fixed. -List All System Codec’s, Removed from startup, Added Button. -Floating Point Error at start up, Fixed. -Removed unnecessary code at start up, Fixed. -DSP-Loudness Record does not load file, Fixed. -AGC Graph resets when processing, Fixed. -Using Tabs While processing, Fixed. -DSP-Compressor Offline Update Bug, Fixed. AAMS V2.0 Rev 000 - Revisions. - Analyze Audio and Load as Source button, was misspelled, fixed. - Save as Firium Preset, did not load the correct equalizer settings before saving, Fixed. - Save as Firium Preset, naming of save file, fixed. - Suggestion Parametric EQ - Qfactor automatic or manual (see options), fixed. - Normalize Audio File, added. - Odd Player Floating Point error, Fixed. - Registration did not complete, Fixed. - Save as Firium Preset, did sometimes create flat EQ presets, fixed. - Save as Firium Preset, malfunction in preset values, fixed. - Soundcard, can now be selected in Options. - Program Info, added on about tab. - Installed Codec’s, added on about tab. - Fast Analyze Failed on startup, fixed. - Track RMS Detection keeps running, fixed. -Internal DSP processing with its own Audio Player. -DSP-EQ an Equalizer with 1 to 100 EQ bands. -More accurate and faster internal calculations. -AAMS executable is now a single file without dll's needed. -AAMS is much more stable. - Precise Analyzing, improved 3x. You can use any soundcard that works with your system to listen and process audio material. The DSP-EQ copies the suggestions directly, so there is no need to set up the EQ manually. The DSP-EQ can simulate different EQ settings and process audio files. Now you can hear what you expect! What’s new in AAMS V1.1? -AAMS works now in all screen-resolutions and sizes. -Bug removed while closing AAMS. -Bug removed while cancelling creating user EQ-preset. -Removed Menu option to Exit in the main menu. -Removed in Options Tab 'Average' and 'Fast but Inaccurate'. -Added 'Exit AAMS Application? Yes/No' message while exiting (X). -Restricted the input of all manual Q-Smooth factors. (5 Hz - 20000 Hz). -Removed Options Program Path Directory. -Removed options Program Path File Box. -Introducing Q-Smooth in EQpreset Tab. -Introducing Q-Smooth automatic and manual modes in options. -'Import Audio and Load as Source' Button Added on Quick Start Tab. -'Convert MP3 to WAV' added to menu 'File'. -QSmooth factor for EQ-Final and EQ-Preset are displayed in the Process Tab. -Qsmooth factors can be manually input by user, just uncheck the option in the Options Tab. -Introducing an EQ-preset for Win Amp 10 Band EQ. -Changed the Multi-Band Tab for 1/ 2/ 3 / 4 and 5 Band Multi-Band Compressor views. -'Please Wait' message deleted and replaced by the 'Please Wait'/'Finished' Alert box below. -'Options Reset To Default' button added in options tab. -Loading Reference as Source Button Loaded wrong file. -AAMS Analyzer Files are now saved in new V1.3 format, old formats can still be imported. -AAMS Full Data Files are now saved in new V1.1 format, old formats can still be imported. -Average Compression Levels in Grid-displays are now shown in White Colors inside the grid. -Loudness settings are shown in white colors inside the grid. -Loudness Grid Shows Average RMS levels to aim for. -Textbox in Multi-Band Tab changed to Grid. Warning System prevents users using heavy settings. EQ Suggestion/EQ Final and Multi-Band Compression Displays added a straight RED line when a warning is given. -Added in Process Tab under Multi-Band, Attack/Release and Ratio settings. -Added settings marked with a '*' are option to be used, adjust them how you like best. -Removed a little bug, when in the Database Tab, Using Reference Batch. -Improved calculation system for automatic Smooth-Q in EQpreset. -Improved calculation system for automatic Smooth-Q in (User) EQpreset. -Improved accuracy for Firium Preset Save. AAMS V3.x is freeware to Download, with high encouragement to Register. Registration ensures users to have all functions and options opened, having full control! The price of AAMS V3 Registered (Pro) is 65 Euro or about 75 Dollars. Fill in our Contact form for Registrations or Questions. Or go to our Shop! We do not use your user information for other purposes but to keep track of the license system, read our license agreement. AAMS V3 - Registration Buy Now! then use our Contact Form for a keycode! Here you can find and read all information about AAMS. In the First Start section you can read how easy it is to audio master your audio tracks with AAMS! How to create your own Sound! All with just a few button clicks. Now you can listen what you expect! AAMS V3 promotional and tutorials / demonstration Video's. 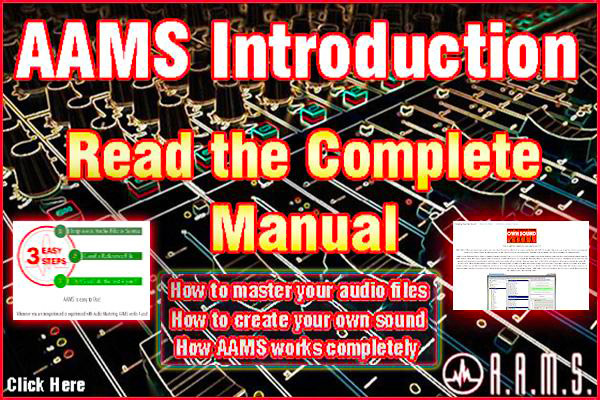 Learn to use AAMS features step-by-step or hear audio that has been mastered with AAMS. Learn to do Audio Mastering with AAMS easy and fast for yourself! Learn how to create your own sound! AAMS Mastered Audio Files! The original audio files where not changed and are as found. These audio examples are mastered with AAMS Auto Audio Mastering System, Everything is done automatically and the audio files where not altered in any way or fashion. AAMS V3 Screenshots will show the Frequency Spectrum, EQ and Compression, Loudness settings and all screens of AAMS. So you get an fast impression of how AAMS looks. AAMS saves the Audio Mastered file as a MP3 or WAV 16bit Linear or 32bit Float audio file. Audio mastering is a process that is done after audio is mixed. We can improve the audio by using tools alike AAMS to improve and to go by levels we need for the public to be happy and commercially acceptable. The fine art of mixing single audio tracks together as a whole is difficult, specially when you do not have some guidelines. Mixing it al up together, to make a whole overall coherend sound tight and together as one. Part II of our Basic Mixing Series! Dimensional Mixing in Depth (3D), understand how human hearing works and how to mix naturally. Know how to EQ and Compress musical tracks and instruments, know how to Mix! Composing Music is mosly the first step to music creation. Although modern music allows crossing the borders between Composing, Recording, Mixing and Mastering. Information about chords, notes, scales and structure.